You’re guaranteed to turn some heads with a mane of this solid dark chocolate shade. Contrary to popular belief, it makes your summer tan pop just as much—and same goes for your bright summer lipstick. Stylist Nikki Lee dubbed this summer-ready color “Sunlight Brunette,” and we’re definitely on board with the subtle touches of sunny gold. Here’s something chocolate brown hair makes sure of: You’ll have the glossiest hair around. 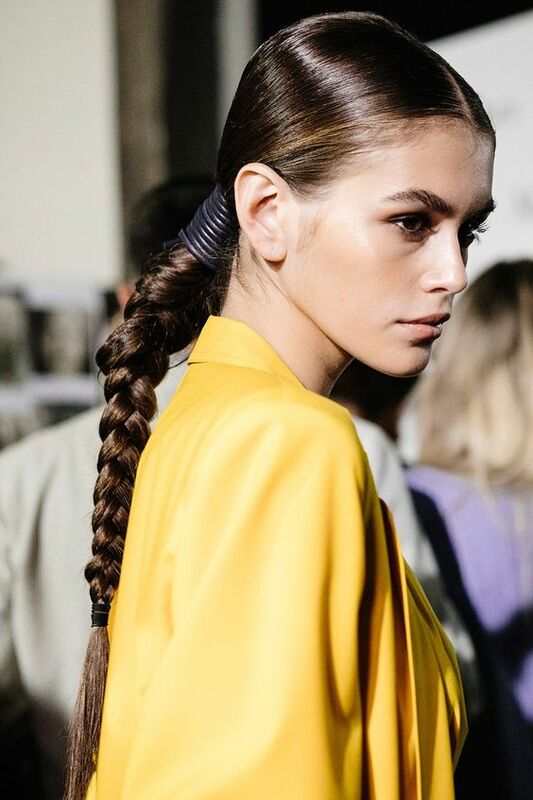 This ponytail catches the light like no sandy blonde ever could. Chocolate brown is already a warm brunette shade, but this color takes it even warmer—almost, dare we say, spicy. It’s a surefire way to add some fun to a simple bob. Stylist Jaye Edwards called this color “Sparkly Brunette,” and now we know exactly what we’re telling our stylist. The tiniest, most subtle of warm chocolate and caramel brown babylights catch the light in the most perfect way. This is a brunette beach babe if we’ve ever seen one. This chocolatey color is perfect for summer. Easy like a Sunday morning. That’s what this short brown bob says to us. Enjoy a stylishly low maintenance summer, ladies! Hey, How did you sneak in here, young lady. Please disregard ladies. This is not the in color. We’d love to channel these warm brown curls all summer long. With a side of this shaggy haircut, please. Don’t be afraid to end things on a bold note, like this subtle chocolate ombré look. It melts into a rich caramel color. OK, there you have it. The “experts” say it’s brown. Next week I’ll post THE newest color. Until then, I’m off to quiet this chocolate fixation. 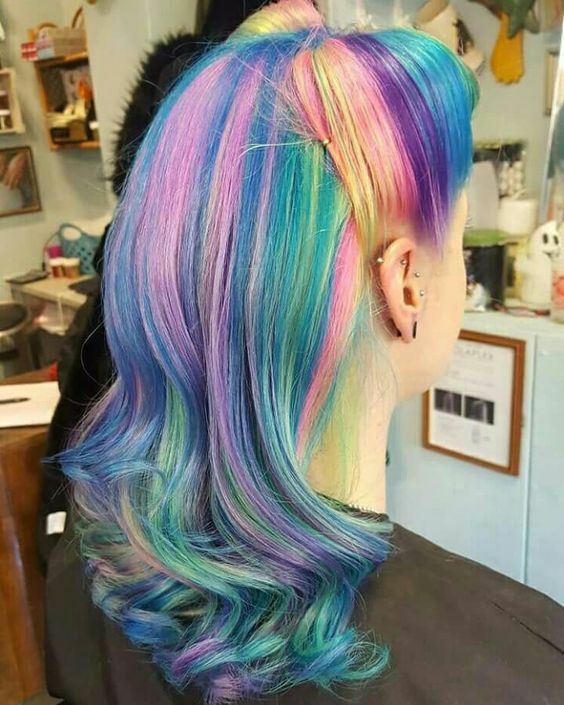 Ombre anyone ? According to Pedestrian Magazine, here are the three hair themes set to be everywhere in the year ahead. Just recently we’ve witnessed a slew of A-listers dying their hair fairyfloss pink but, looking at the stats, this pastel purple hue is set to be the next colour du jour, with searches for “lilac hair” up a whopping 1,077%.